In Cruise Ship SOS Ben MacFarlane recounts the incredible events of the next year in his professional career: as a full time ship’s doctor. With roles on three different cruise ships, ranging from an exclusive, teak-decked launch in the Mediterranean to a vast, mega-cruise ship in the Caribbean, he deals with an extraordinary range of medical crises, an endless series of desperate patients and a lot of fast-living crew members. 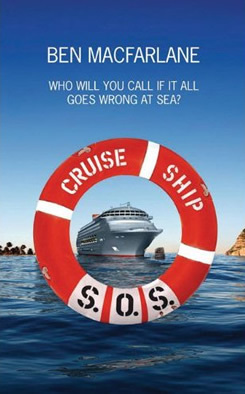 From floating hospital suites that match anything in London or New York to emergency helicopter repatriations Cruise Ship SOS reveals just what happens when it all goes wrong at sea. Ben MacFarlane graduated in medicine from Imperial College London, in 1998 and started carrying out medical repatriations in the spring of 2001. He then spent a year working on the cruise ship circuit and now works full time in a West London teaching hospital. Holiday SOS is his first book.